FotoBella: Children's Hour Membership: May Card & Tags Sneak Peek! 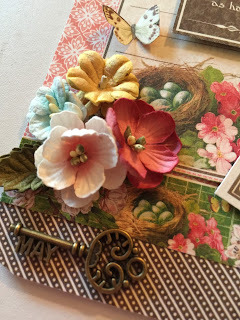 Children's Hour Membership: May Card & Tags Sneak Peek! ReNae here, with your FotoBella Design Team, and I am so excited to show you a peek at the beautiful cards and tags you will make in our May Children's Hour Cards & Tags class. 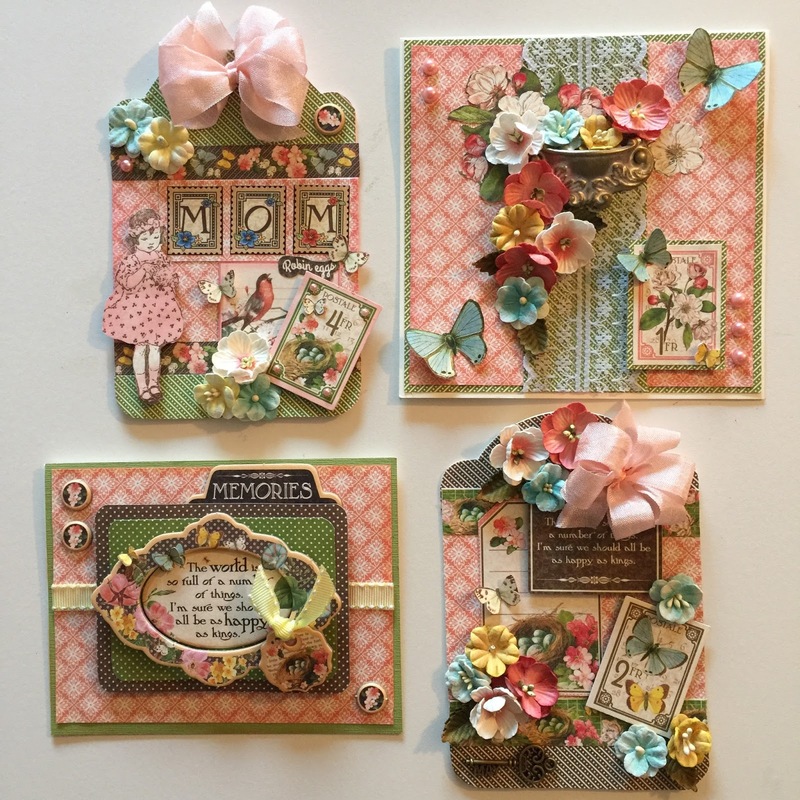 With paid membership you will receive everything you need to make these gorgeous cards and tags. I think they are our prettiest yet! Mother's Day is near, so of course I wanted to design a card that was really special for Mom. I used Graphic 45's gorgeous papers, but also their metal Door Pull to create a trellis with flowers cascading down! Just like Mom's garden, it's filled with lots of pretty flowers and lots of love! 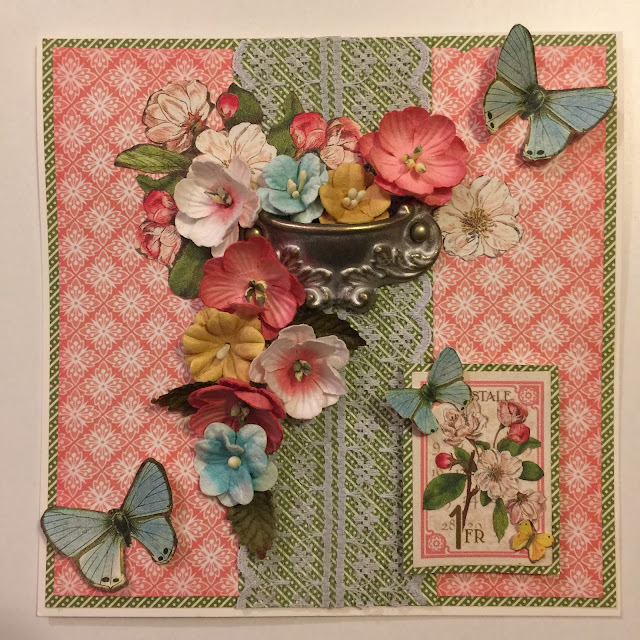 This card will impress Mom, especially after finding out that you made it just for her! 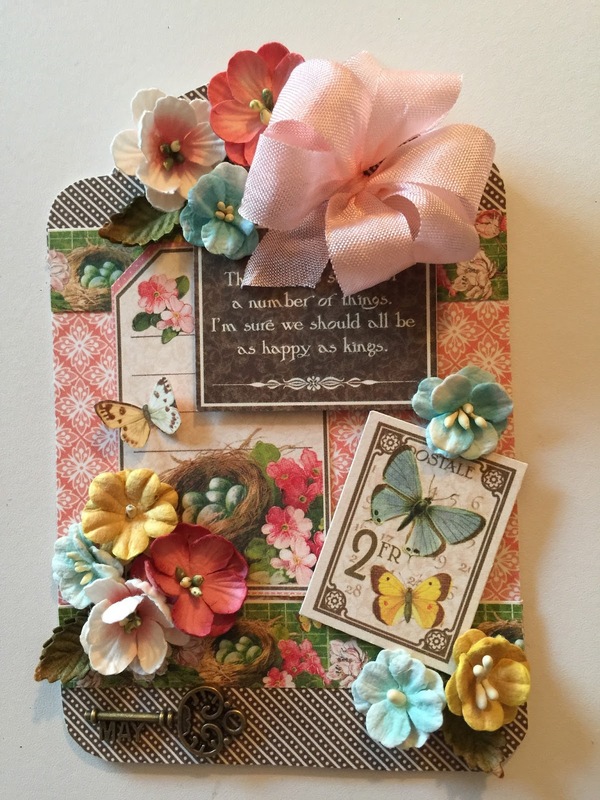 We have a Mother's Day Tag to complement our card, perfect for attaching to that Mother's Day gift! Mom will love this tag hanging from her gift! We don't want to leave out other special occasions in May, like Graduation or a special Birthday, so this card was designed to be perfect for any occasion! And if you have a special event like a wedding shower, this tag will be sure to impress! Look at all the beautiful flowers! 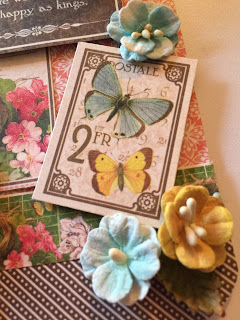 This tag is so beautiful and perfect for a shower or birthday gift! Look at this adorable little key, such a special touch! 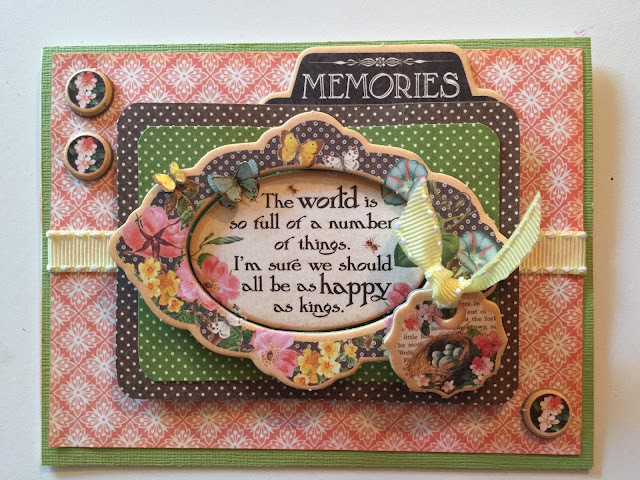 The May Children's Hour Cards & Tags class. Thank you Jenn! Your words made my day! You do such beautiful work ReNae. I love the door pull. I would have never thought to use a door pull but, it makes it so beautiful with all the flowers. Thank you Shari! 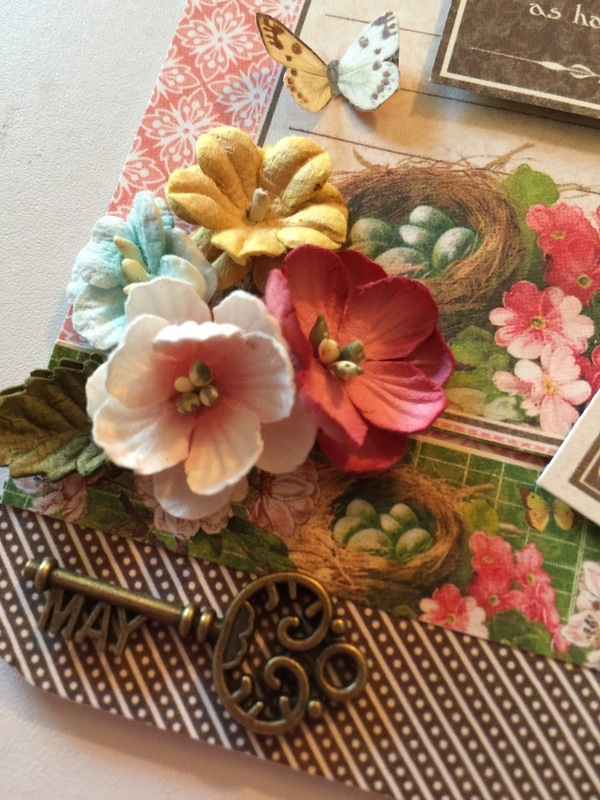 I love these new shabby door pulls, and thought that it would be a beautiful way to features the flowers! I'm so glad you liked it! 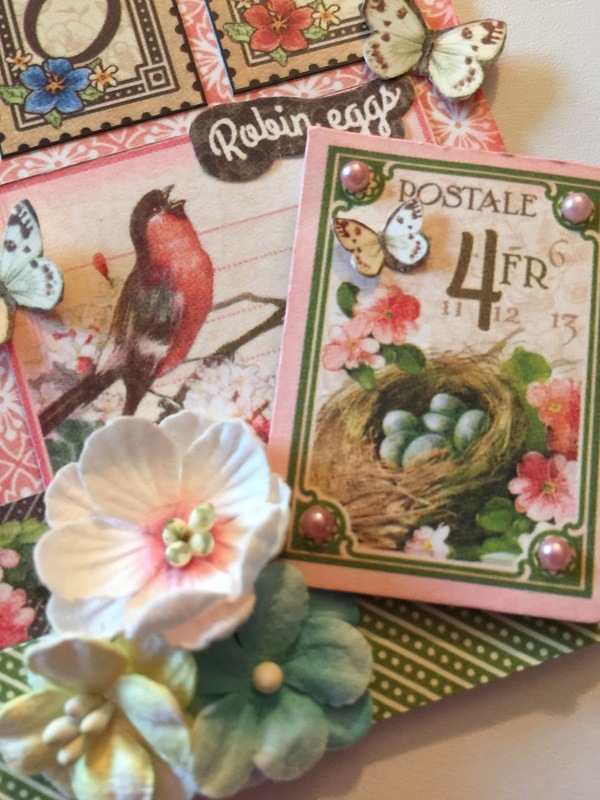 Beautiful cards and tags, ReNae! 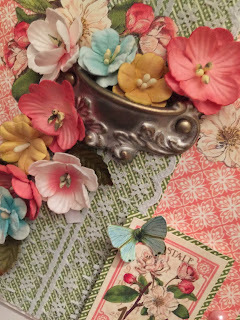 The papers are so pretty, and I love all those tiny flowers. ReNae, You are so very talented! I love each and every one of these!